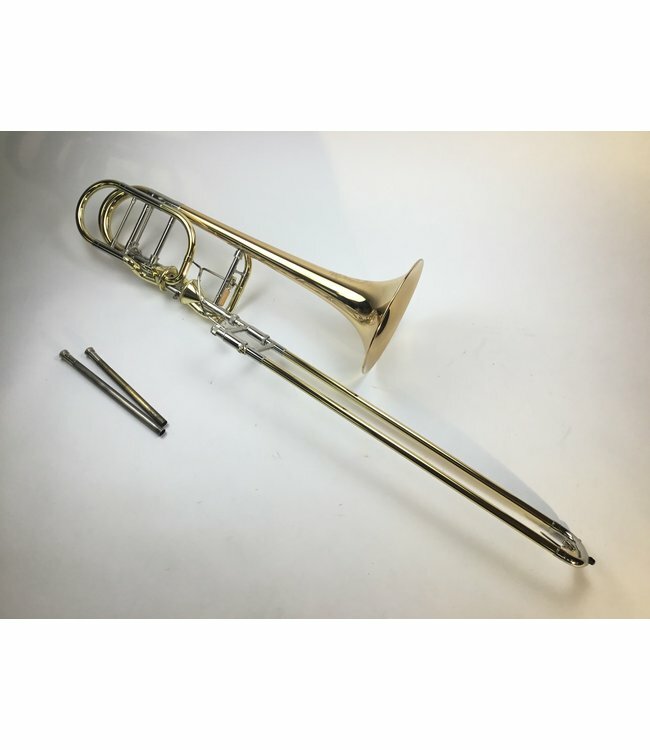 Demo Jupiter 1240RL-T Professional Bb/F/Gb/D Bass Trombone in lacquer. .571” bore hand slide, open wrap axial flow valve section, 9.5” rose brass bell flare. Instrument is in demo condition apart from a few minor dings and scratches on bell flare and tuning slide. Comes with case and extra leadpipe.